Hi everyone! 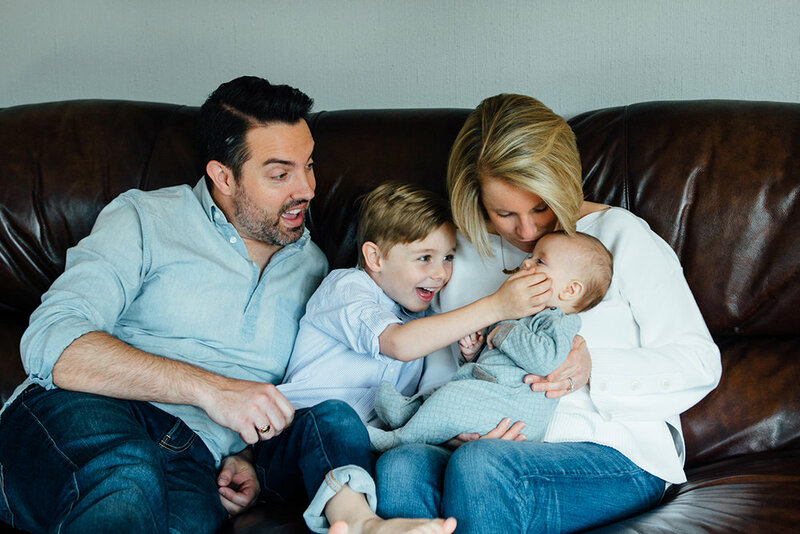 If you've been following along you may recognize this sweet family from their fall photos, but now the Montgomery's have a new little addition! 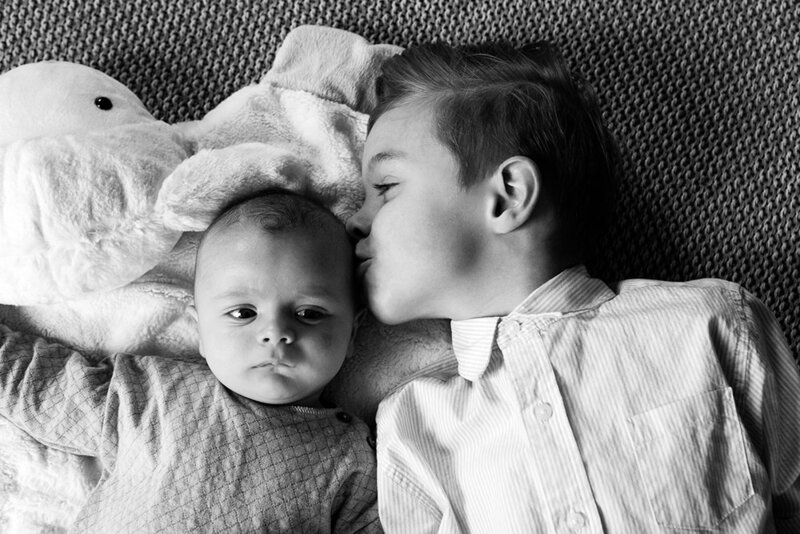 On Saturday I went to their beautiful home and photographed the new family of four. Baby Merritt made his entrance into the world a few months ago and is just the cutest! Big brother Whitby was absolutely adorable to watch snuggle and cuddle his baby brother. You can tell these two are going to be best buds. The second Whitby is in front of Merritt, he lights up and starts showing his little gummy smile! 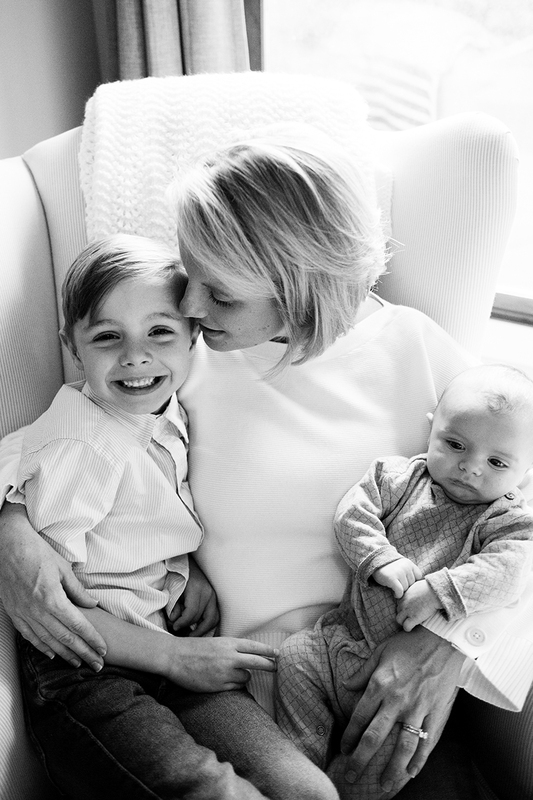 I love in-home sessions and totally recommend them to any family who wants to feel totally comfortable and natural in their own home with no pressure. If you're not big into posed photos this is a perfect opportunity too because a lot of it is candid moments. It's special to just document moments spent feeding baby in the nursery, siblings interacting, and couch cuddles! I can't wait to keep photographing the Montgomery family and especially getting to document the boys growing up!